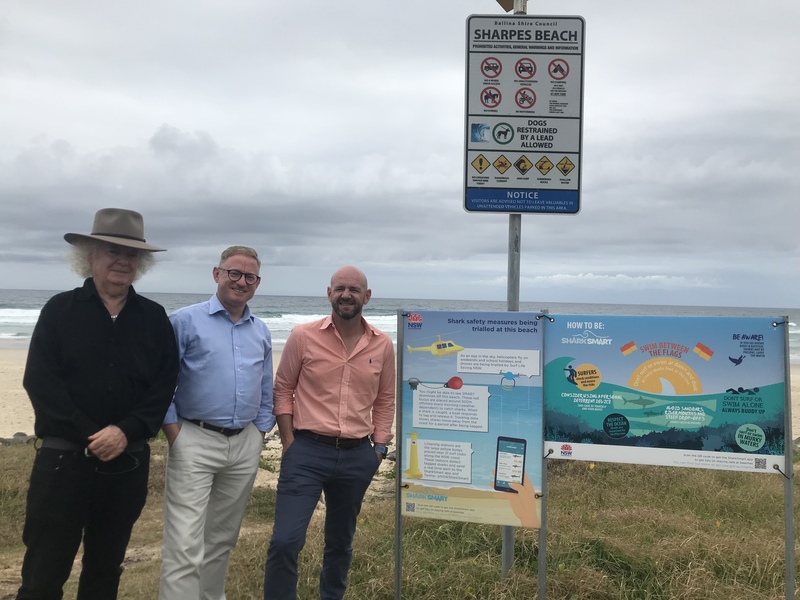 The NSW Government and Surf Life Saving NSW has today announced $14,000 worth of measures to further protect beachgoers on the NSW North Coast this summer. Two additional drones will be added to the current suite of drones, as well as investing in essential equipment for shark incident response, including shark alarms and PA systems, megaphones and lifesaving heavy-duty trauma kits. Minister for Primary Industries, Niall Blair said as we enter the busiest time of year, it’s more important than ever that lifesavers and lifeguards have access to reliable shark surveillance and response equipment. “Our men and women in yellow and red do an amazing job of keeping our beaches safe every day, this investment makes sure they have the best support possible to do what they do so well,” Mr Blair said. Parliamentary Secretary and NSW Nationals candidate for Ballina, Ben Franklin said he welcomed the extra measures. “The more eyes we have, the more alerts we have, the more informed we are, the better we can protect our community,” Mr Franklin said. “Today’s announcement compliments the Government’s existing measures which includes helicopters, drones, 35 SMART drumlines and VR4G listening stations. CEO of Surf Life Saving NSW, Steven Pearce said that safety for beachgoers is the number one priority. “Additional drones will assist lifeguards in identifying any potential risks in the water as quickly as possible and reduce the risk of potential shark interactions,” Mr Pearce said. This summer the drone trial will be at nine beaches on the North Coast including; Kingscliff, Main Beach Byron Bay, The Pass, Suffolk Park, Lennox Head, Sharpes Beach, Shelly Beach, Lighthouse Beach and Evans Head. The NSW Government has now tagged more than 400 target sharks through its Smart Drumline program.